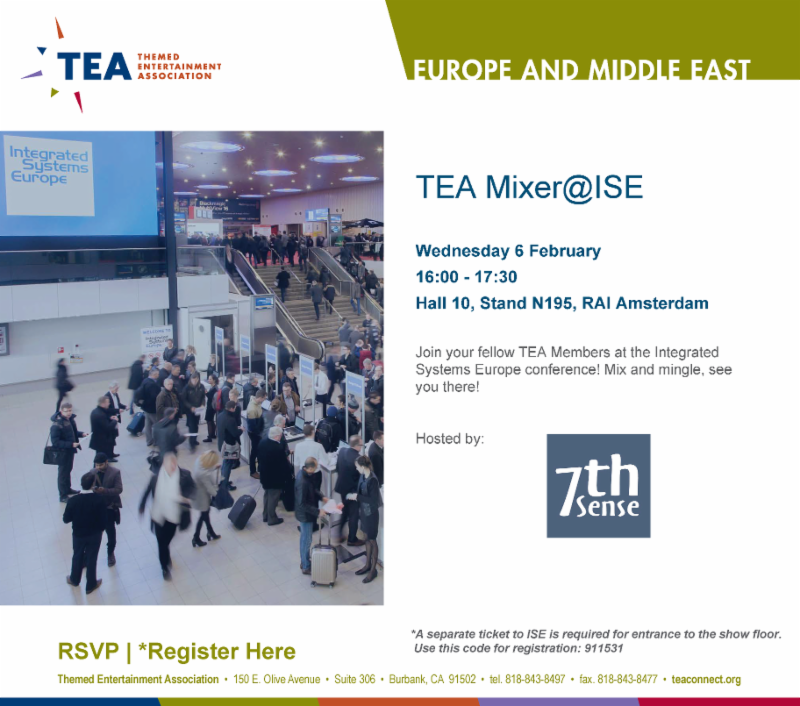 Join your fellow TEA Members at the Integrated Systems Europe conference! Mix and mingle, see you there! *A separate ticket for ISE is required for entrance to the show floor. Use code 911531 for registration.